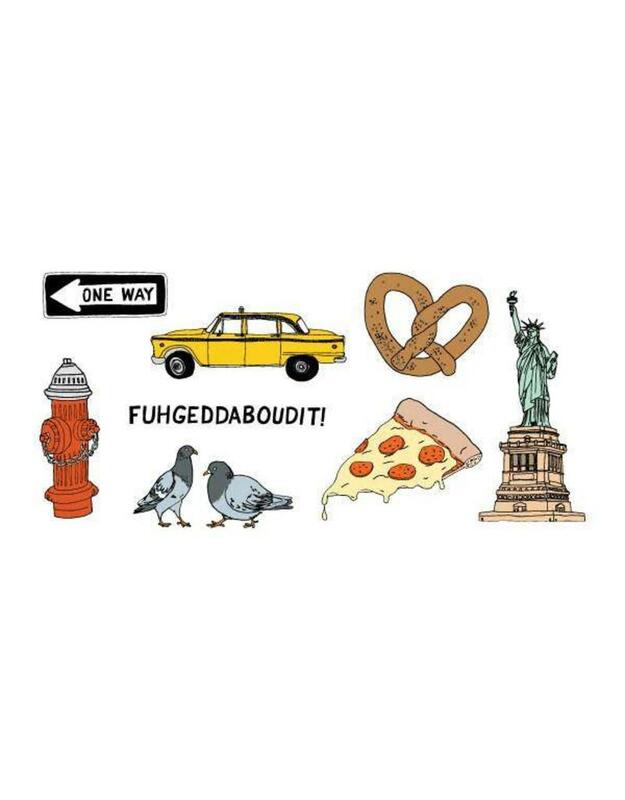 Look like a native New Yorker wearing these iconic designs. 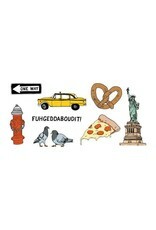 The New York Set includes the following designs by Julia Rothman: FUHGEDDABOUDIT, One Way Sign, Pigeons, Pizza Slice, Pretzel, Statue of Liberty, Fire Hydrant, and Vintage Taxi. It also comes with a free single Tattly Sponge!